Does Registration Lapse During NMC Fitness to Practise Proceedings? 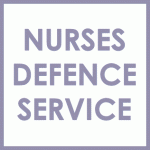 | Nurses Defence Service – UK. Does Registration Lapse During NMC Fitness to Practise Proceedings? All nurses and midwives must register their qualification with the Nursing and Midwifery Council within five years of being awarded an approved qualification. If this is not done the qualification will not be registered on the relevant part of the register. Once registered, all practitioners will be familiar with the need to renew their registration every three years to enable them to continue to remain on the register and practise as a nurse or midwife. The legislation stating this requirement can be found under The Nursing and Midwifery Council (Education, Registration and Registration Appeals) Rules 2004, rule 13. (c) the fee for renewal prescribed in rule 3(e) of the Fees Rules. Therefore, under rule 13 a nurse or midwife will be required to make a declaration of her good health and character, completed of the requisite CPD hours (35 hours), practised no fewer than 450 hours in the preceding 3 years and paid the renewal fee. A nurse or midwife must declare when making a declaration of good character if she has a criminal caution or conviction. If a nurse or midwife does not provide the above information registration will lapse under rule 13 (2). (2) Subject to a registrant’s registration in a part of the register shall lapse at the end of the registration period unless it has been renewed in accordance with the provisions of this rule. (c) ……………..unless the completed application form, accompanied by the prescribed renewal fee, is received by the Registrar on or before the date specified in the notice, her registration shall lapse. A nurse or midwife must fill in the prescribed form, the Notice of Practise (NoP) if he/she intends to renew his/her registration. Under rule 14 (5) the Registrar has the discretion to allow a 3 month grace period after renewal was due if there is good reason for registration not to lapse. Under rule 14 a nurse or midwife may make an application to allow registration to lapse on the NoP form. (2) An application, as referred to in paragraph (1), to remove a registrant’s name from the register shall be made in writing and shall be accompanied by a declaration that the registrant concerned is not aware of any matter which could give rise to an allegation against her under article 22 of the Order. Under article 22 of the Nursing and Midwifery Order 2001 as long as there are no fitness to practise allegations or fraudulently procured or incorrectly made entries to the register then the Registrar may remove the nurse or midwife’s name from the register on the last day of the month of registration in the ‘third calendar year after the year in which she was first registered.’ This is irrespective of the Registrar’s power to remove the name for other reasons. However, when declaring ‘good character’ what if there are allegations relating to fitness to practise or fraudulently procured or incorrectly made entries to the register. Voluntary removal should not be confused with lapse of registration. Only nurses and midwives who are subject to a current or potential fitness to practise allegations are eligible for voluntary removal from the register. A nurse or midwife may submit an application for voluntary removal at any point during the fitness to practise process but applications will not be approved until a full investigation into the allegation has been completed. Once the investigation is completed, an application can be made but is unlikely to be granted unless there is evidence to suggest there will no application for re-admission, eg. evidence of retirement or another career. If there are allegations relating to fitness to practise or fraudulently procured or incorrectly made entries to the register then registration will not lapse. Further, Article 12 of the Nursing and Midwifery Order 2001 states that registration does not lapse if the nurse or midwife is (a) subject of any allegation or to any investigation or proceedings under Part V (fitness to practise) or VI (appeal) and (b) is subject to a suspension order, conditions of practice order, or interim orders. In the case of Professional Standards Authority for Health and Social Care v NMC  EWHC 4369 (Admin) the high court considered a lapse of registration. In this case there was a challenge to an unduly lenient sanction imposed following a substantive hearing before the Conduct and Competence Committee of the Nursing and Midwifery Council. Pending the appeal there was an application brought under the Professional Standards Authority for an interim order preventing the nurse from practising. The nurse was retired from nursing and her registration was due to lapse because of non-payment of the renewal fee. The Authority submitted that once registration had lapsed no further sanction could be made which would frustrate the legitimate exercise of its powers. The Authority submitted that the nurse fell outside the bar for lapse as she received a caution order, not a suspension or conditions of practice order and this was not an allegation under part V (fitness to practise) or VI (appeal) of the Nursing and Midwifery Order 2001. The nurse opposed an interim order on the basis that she would not be practising, however, the Authority requested an interim order of suspension, as had previously been imposed by the Investigating Committee of the NMC prior to the substantive order. This would prevent the nurse from practising up until the appeal was finalised. Under section 29 of the National Health Service Reform and Health Care Professions Act 2002, there is no express power to make an interim order. However, it was submitted that there was an implied power as under section 29 the court could allow the appeal, quash the decision and substitute a fresh decision. Therefore the court could make an interim order in the same terms as the original interim order. Alternatively, under section 37 of the Senior Courts Act 1971, the court could grant an injunction preventing the nurse from practising. The court accepted the submission of the Authority and made an interim order restraining the nurse from practising as a nurse in any capacity.